Montreal Excavation is equipped with a fleet of vehicles and heavy duty tools. Making sure you get your job done professionally and in a timely manner so you can get back to your day to day. With our fleet of heavy machinery bulldozers, bobcats, compactors, loaders, diggers, graders, brush-cutters, Hydraulic Jackhammers, vibrating plate compactors. No job is out of our reach, we can handle all your Commercial Excavation projects. 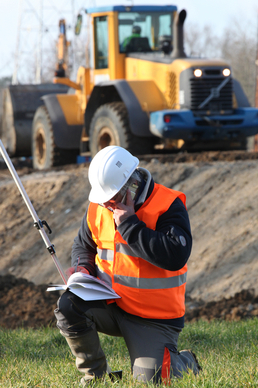 Our site manager will walk you through the procedure, giving a full estimation on what the job entails. At any point let us know your need so we can accommodate. Knowing that our clients are given 100% satisfaction is what we aim. Rest Assured all of our machine operators be it heavy or small, are fully trained & certified to practice this trade. Not only do we require a minimum of years experience, but we also hand train all of our employees to our code of conduct. Contact Montreal Excavation for a free estimation. Our staff is here to assist you in answering any questions you may have. Montreal Excavation will Dig, till the job is done!